The inclusion of new genetics to our breeding programme has resulted in the introduction of a separate herd code to be called DARKSIDE. 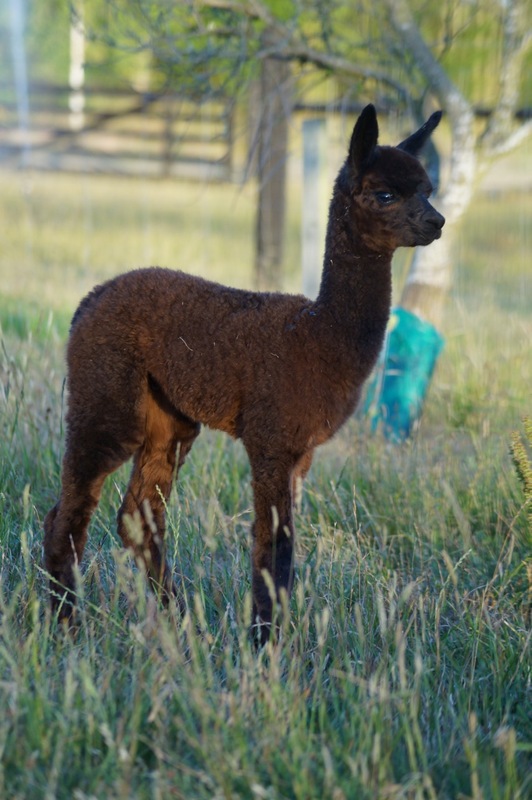 This 2017 year at Belise Alpacas we welcomed SunsetEstate Kibungo to our breeding program. He brings lines from the successful Canchones Gendarme and Kismet ET breeding to compliment the very successful Warramunga Downs genetics. Also from SunsetEstate we welcome Daquiri carrying a very special mating due in 2018. It is with great sadness that we bade farewell to two of our foundation females, Sherlin Asha and Sherlin Sadie, a specially selected Wyona Censei and our first stud male, Warramunga Downs Kalarni. These 4 have contributed to establishing a sound foundation and building a base from which we will grow. Their presence in our herd will be missed. Moving on and carrying a pregnancy to Warramunga Downs Enyo is Warramunga Downs Angel. 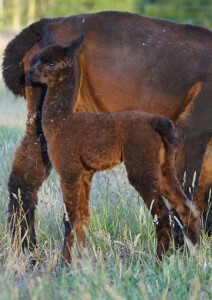 Angel will be traveling to Moonacre Alpacas to contribute to their breeding program. We wish Amanda well and success with her selection. Great fleece results with Warramunga Downs ENYO awarded Supreme Champion Black Huacaya and Belise ARAMIS Reserve Champion Male. Special thanks to Australian Judge Karen Caldwell from Wyona Alpaca Stud for her work over the weekend. Weaning of the 2015/2016 Cria has started with 4 male and 4 female weanlings separating from the mothers. The orphaned female has made good progress under her surrogate mother and will be continuing to receive supplementary feed. There are some stunning fleeces from the first drop of WDA Enyo cria and a very special female from the successful WYONA CASSOCK. Warramunga Downs Enyo is stamping his mark on his progeny from day one. Tight curly coats, intense Black Fleeces, upright confirmation with solid bone structure. All great qualities from this new stud male. 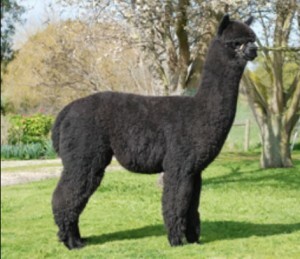 His latest fleece results are: Micron 21, SD 4.1, CV 19.4, CF 97 for his 4th fleece.Enyo is available for outside matings. Birthing has commenced at Belise Alpacas with Two females and a male arriving prior to Christmas. Christmas morning saw the arrival of a special boy, the first Cria from Warramunga Downs Enyo. Belise Palerno is a well conformed upright male with a tight curly coat and is the same colouring as his Dam, Jolimont Macee. Belise Alpacas are please to announce the arrival of Wyona Censei with Belise Salazar and welcome them to our breeding program. 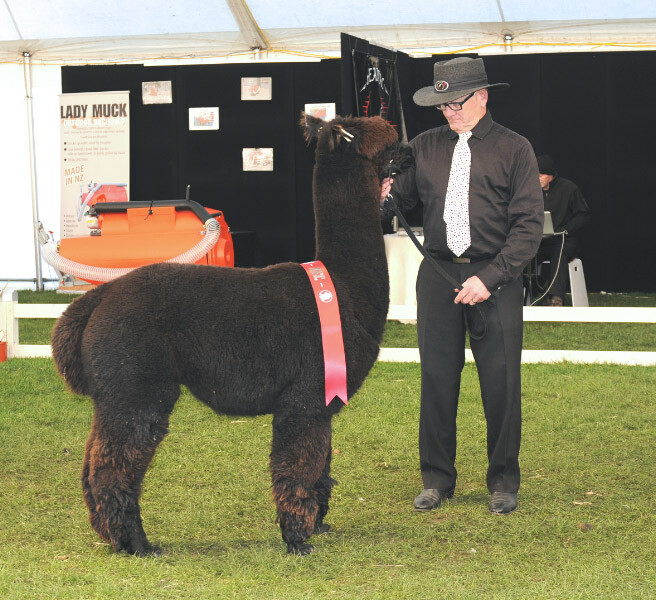 Salazar is by the well performed Wharncliffe Casanova and Censei carries a mating to Wyona Cassock who has continued a winning record through all divisions in the Australian Shows up to Adult male. A very busy show season through the Spring of 2014 with the South Island Colourbration Show, the AANZ National EXPO, regional shows and finally the Canterbury A&P Show. 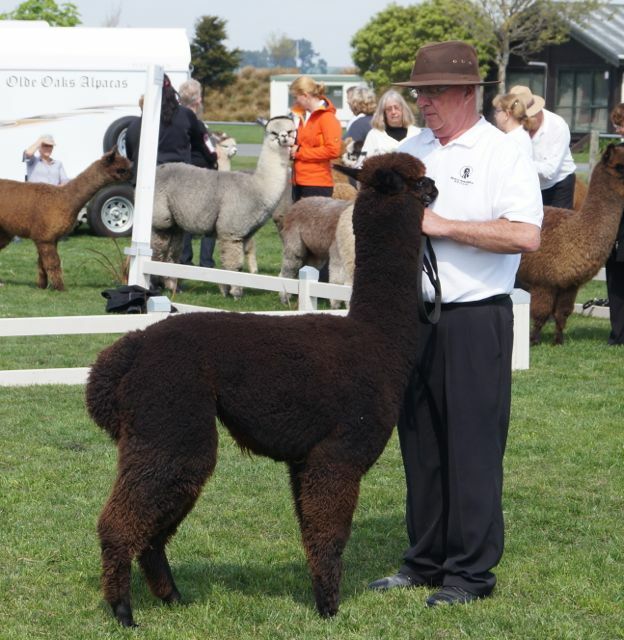 Belise Alpacas were represented by Belise Paco Rabanne, Belise Bijan, Belise Beyonce, Belise Eli Saab and Belise Miss D’ior and Warramunga Downs Angel. All featured well in class with none finishing below 3rd place. Beyonce: 3rd at Colourbration,2nd at the National EXPO, First at Canterbury and 2nd at Oxford. Melchior: First at Ellesmere and Rangiora and 3rd at Canterbury. Melchior has since been sold. The regional A&P Show season commenced with Ellesmere judged by Lloyd Johnson. 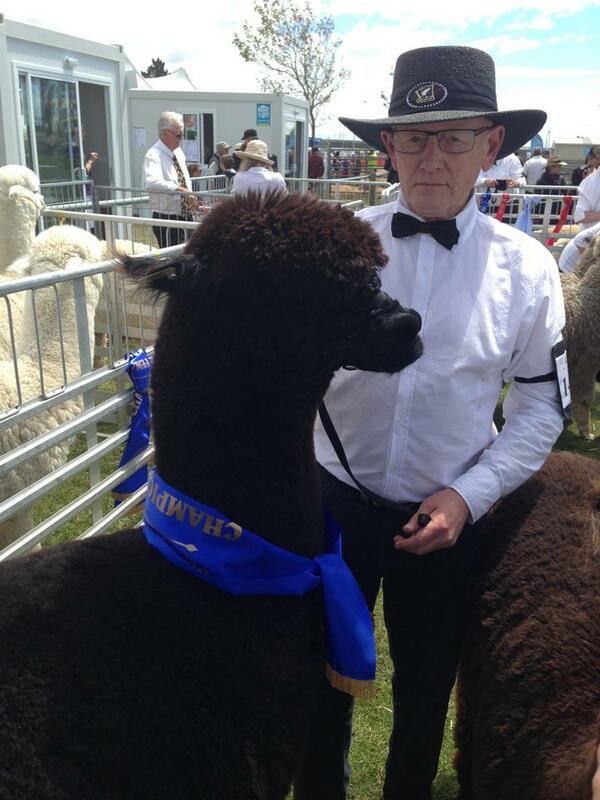 In very blustery conditions, the Rangiora Show was held at Labour Weekend with Paul Garland as Judge. The same team was entered with Belise Gucci second in class, Belise Paco Rabanne second in class, Belise Georgio first in class and Warramunga Downs Enyo first in class and Best Black in Show. The final show for the Spring season was held at the Canterbury A&P Show over two days with Steve Ridout from Western Australia judging. Belise Gucci placed first in Junior Female Black, Belise Paco Rabanne placed first in Junior Male Black, Belise Georgio place second in Intermediate Male Brown and Warramunga Downs Enyo placed first in Intermediate Male Black, and in a final line up of six animals, three from our team, Enyo was selected as Champion Black with Gucci a very close second according to the judge. 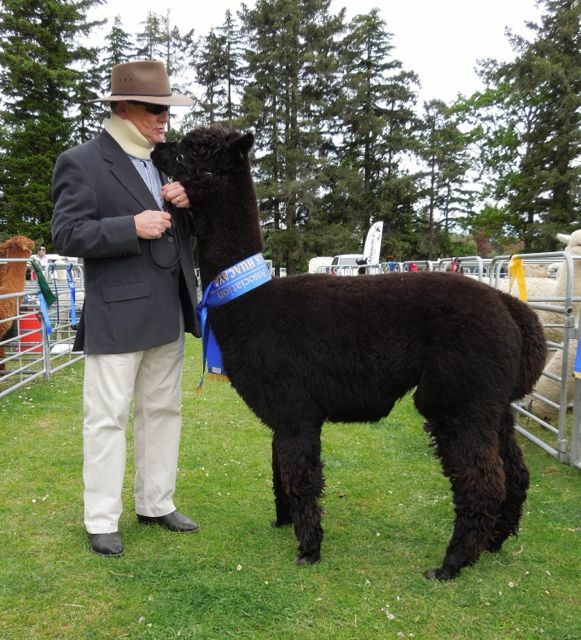 Belise Alpacas were well represented at the South Island Colourbration show judged by Diane Marks and Molly Gardner. Belise Gucci placed Second in Class, Belise Georgio placed third in class, Warramunga Downs Enyo placed first in class and Belise Paco Rabanne placed first in class, Champion Male and Champion Black. 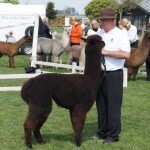 Belise Alpacas entered three Huacaya in the National Alpaca EXPO in Hamilton. 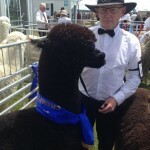 Warramunga Downs Enyo in the Intermediate Male Black Class, probably the strongest group of males assembled in New Zealand, Belise Paco Rabanne in the Junior Male Brown Class and Belise Gucci in the Junior Female Black Class where she was placed third in a class of 12. Only three ribbons were presented. Judges were Paul Garland and Angela Preuss. Overall a very good show season with some consistent comments from judges and consistent places for the boys. 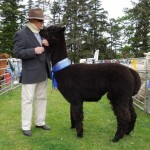 Belise Alpacas show team entered the three regional A&P Shows with good results from all shows. Ellesmere A&P at Leeston. In very trying conditions and shocking weather, Belise Kenzo 1st place and Belise Georgio 2nd place in their respective classes. 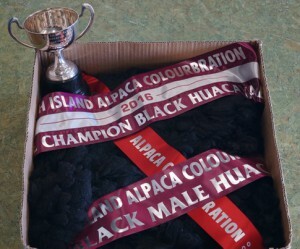 Very good day at the South Island Colourbration Show held in Christchurch.Fleece results placed Nadahls Fleece first in Class and Belise Chloe Reserve Champion Black Female fleece. Breed results for Belise Georgio, Second in class, Warramunga Downs Kalarni second in class and Warramunga Downs Nadahl, First in class, Champion Black Male and for the second year in a row, Supreme Champion Black Huacaya. 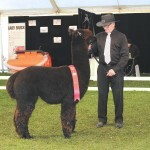 Warramunga Downs Nadahl was placed First in Senior Male class at the 2012 National Show and Expo.